At the end of a very busy week in Maynooth I’ve at last been reunited with my books and other possessions. Eamon arrived with his van this afternoon, we unloaded all the boxes and I made a start of stacking the shelves. The Hubble Constant Tension Video! When I played it at home, I found that his singing was in tune with my piano, and I improvised a simple accompaniment. I noticed, too, that the first section of the song – 13 bars in length – formed an effective loop which repeated in a slightly unpredictable way. I took the tape loop to Leicester, where I was working in the Fine Art Department, and copied the loop onto a continuous reel of tape, thinking about perhaps adding an orchestrated accompaniment to this. The door of the recording room opened on to one of the large painting studios and I left the tape copying, with the door open, while I went to have a cup of coffee. When I came back I found the normally lively room unnaturally subdued. People were moving about much more slowly than usual and a few were sitting alone, quietly weeping. 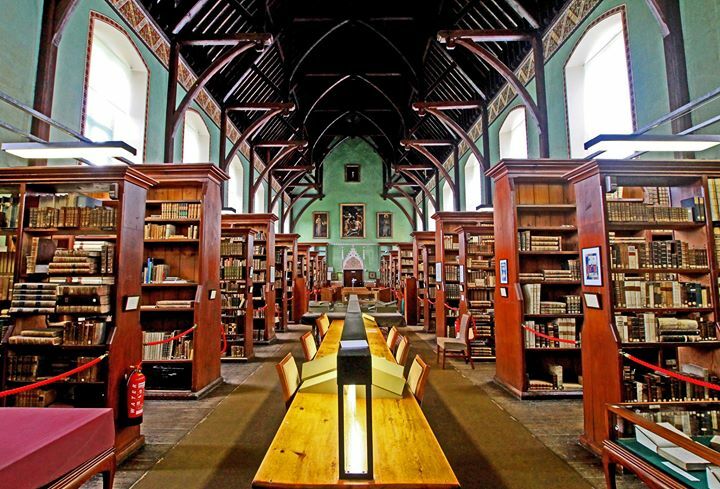 The Russell Library houses the historical collections of St Patrick’s College, Maynooth which was founded in 1795 as a seminary for the education of Irish priests. The reading room was designed by renowned British architect and designer Augustus Welby Northmore Pugin (1812-1852) and completed in the year 1861. The Russell Library contains approximately 34,000 printed works dating from the 16th to the mid-19th century across a range of subjects including: theology, mathematics, science, geography and history. 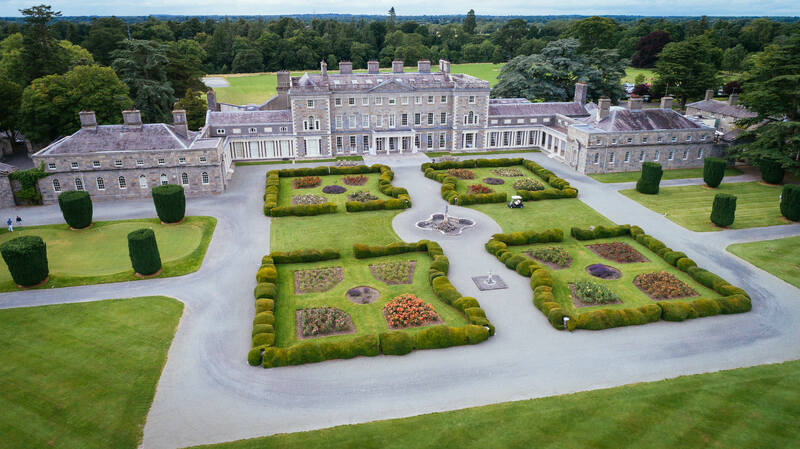 Other important collections include: medieval and Gaelic manuscripts, archival material and incunabula (pre-1501 printing). Here’s an interesting blog post about dealing with emails from students. It seems to me that these days students aren’t as keen on using email as they used to be a few years ago (especially from their official university account) which may mean that they’re using it reluctantly and are unsure of the right tone to use.I have had a small number of emails from students over the years that I found rather rude (I mean blunt rather than abusive), but I try to give the sender the benefit of the doubt because it is easy to sound abrupt in an email without meaning to. My advice in such cases is not to reply at first, in case you respond in a way that escalates things. Take some time to chill about it, and then reply to the factual matters without rising to what you might interpret as provocation. I would also recommend not checking your email outside of working hours if you can help it. It took me a long time to get to the habit of not reading work emails at the weekend or late at night, except in very special circumstances, but there’s no reason why students (or colleagues, for that matter) should expect you to be available 24 hours a day. Finally, make full use of the `Out of Office’ feature on your email application. I found that particularly important when I was working part-time to remind senders that were times when I was working, and times when I wasn’t. I’m sure readers have other tips….if so please share them! When I began any lecturing career in 1980, in the days before the internet or even mobile phones, it would have been totally impossible for a student to reach me outside of normal working hours. By the time my active teaching came to an end (in 2000), I was beginning to get both emails and phone calls into the night; though this was still a relatively rare thing, and almost always the students were polite when they reached me. I haven’t been involved in this project, but several of my former colleagues at Cardiff have beenm and still are, so I know how much work has gone into this (especially by the amazing Erminia Calabrese), so I am happy to share this impressive work here. This long (54 pages) paper, which appeared on the arXiv last week, describes the latest step forward in ground-based cosmology using the cosmic microwave background. It shows just how rapid the onward march of instrumental technology continues to be. It is likely that the Simons Observatory (based on a single 6m dish) will form part of the next generation CMB experiment known currently as CMB-S4. You can download the paper in full from the arXiv here. 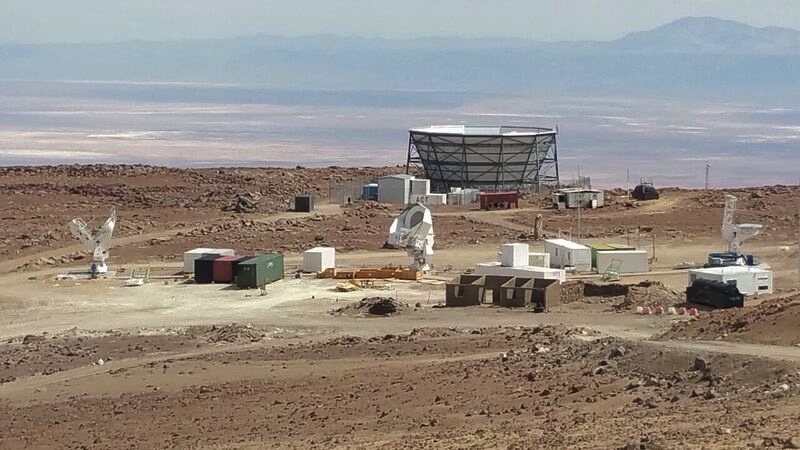 The Simons Observatory (SO) is a new cosmic microwave background experiment being built on Cerro Toco in Chile, due to begin observations in the early 2020s. We describe the scientific goals of the experiment, motivate the design, and forecast its performance. SO will measure the temperature and polarization anisotropy of the cosmic microwave background in six frequency bands: 27, 39, 93, 145, 225 and 280 GHz. The initial configuration of SO will have three small-aperture 0.5-m telescopes (SATs) and one large-aperture 6-m telescope (LAT), with a total of 60,000 cryogenic bolometers. Our key science goals are to characterize the primordial perturbations, measure the number of relativistic species and the mass of neutrinos, test for deviations from a cosmological constant, improve our understanding of galaxy evolution, and constrain the duration of reionization. The SATs will target the largest angular scales observable from Chile, mapping ~10% of the sky to a white noise level of 2 μK-arcmin in combined 93 and 145 GHz bands, to measure the primordial tensor-to-scalar ratio, r, at a target level of σ(r)=0.003. The LAT will map ~40% of the sky at arcminute angular resolution to an expected white noise level of 6 μK-arcmin in combined 93 and 145 GHz bands, overlapping with the majority of the LSST sky region and partially with DESI. With up to an order of magnitude lower polarization noise than maps from the Planck satellite, the high-resolution sky maps will constrain cosmological parameters derived from the damping tail, gravitational lensing of the microwave background, the primordial bispectrum, and the thermal and kinematic Sunyaev-Zel’dovich effects, and will aid in delensing the large-angle polarization signal to measure the tensor-to-scalar ratio. The survey will also provide a legacy catalog of 16,000 galaxy clusters and more than 20,000 extragalactic sources.